North Lanarkshire Council has announced ambitious investment plans totalling £50.9m to deliver significant housing improvements. Replacing all kitchens and bathrooms by 2021, installing more modern and efficient heating systems and doubling the investment for window replacement, are just some of the projects planned. Key investment plans include: rolling out ‘A’ rated high efficiency gas boilers following successful heating trials of air source heat pumps within Banton, Greengairs, Salsburgh and Gartness; almost doubling the investment for new window replacement programme; improving insulation standards of Swedish and Weir timber stock; new roofing and rendering. Approval for the capital budget was given at a recent Enterprise and Housing Committee meeting. 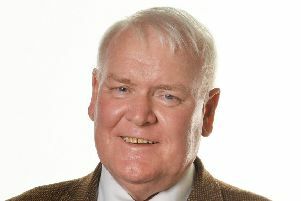 Committee convener Councillor Allan Graham said: “An additional £3m has been added to this year’s budget to allow us to carry out more improvements. “Our planned projects will make such a difference to our tenants. For example, by installing new high quality windows and more energy efficient heating, we’ll help to reduce heating costs and, in the longer term, help cut their heating bills and make their homes more comfortable to live in.